Farmersgirl Kitchen: Christmas Pudding for Stir Up Sunday? 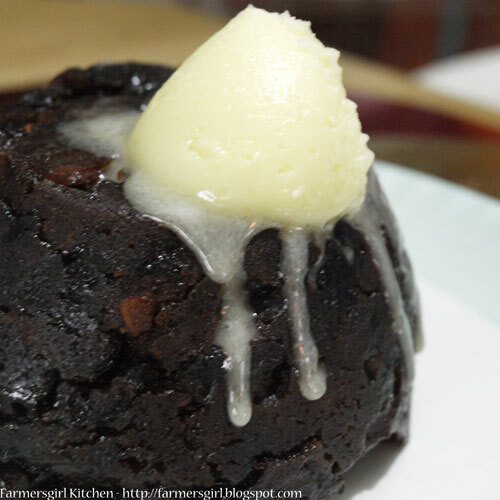 Christmas Pudding for Stir Up Sunday? It's Stir Up Sunday today. The last Sunday before Advent and the day when, traditionally, you are supposed to make your Christmas Pudding to allow it to mature for Christmas. Too posh? Not enough time? Don't know how? Can't be bothered? Well, I have good news for you... you don't have to make your own as there are some lovely Christmas puds out there that you can heat up easily, serve and enjoy! And where better to get your Christmas Pudding than from Harrods, dahling! I wouldn't dream of getting mine anywhere else ;-) For a start, it arrives in this gorgeous box, with Father Christmas on his sleigh, pulled by reindeer, flying over the rooftops of Harrods. I'm going to have to find another use for the box as I really love it, I'm sure it can be repurposed to hold some Christmas decorations or something equally festive. 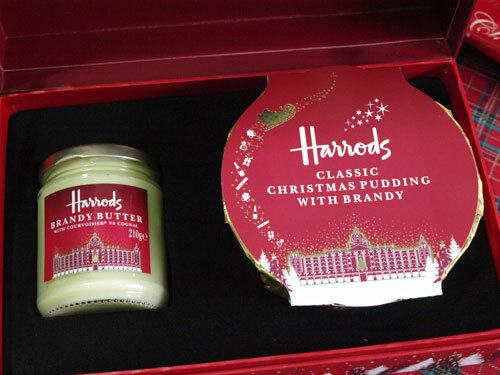 When you open the box, you see that, not only do you have a Harrods Classic Christmas Pudding with Brandy, but also a bumper jar of Harrods Brandy Butter! The pudding has been '6 months matured for Christmas Day' and is bursting with juicy Mediterranean fruits, Vositizza currants, cherries, almonds and walnuts blended with Thatchers Cider, one year old Brandy, Spanish Sherry and Rum! It only needs some gentle reheating, an hour of steaming or a 3 minute blast in the microwave. The Brandy Butter is 8% Courvoisier VS Cognac. The pudding tastes just as good as homemade, it's rich and fruity with nice sized chunks of nuts. It isn't heavy at all and you could get six small portions or four generous portions from this 454g pudding. The Brandy Butter is soft and delicious, melting gloriously over the warm pudding without overpowering it with too much spirit. The Harrods Christmas Classic Hamper containing a 454g pudding and 210g jar of brandy butter costs £25 and I think it would make a great gift. 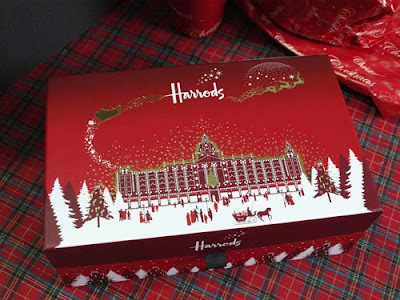 There are lots of other Christmas Hampers and Food Hampers to choose from at Harrods, there is bound to be something for everyone. 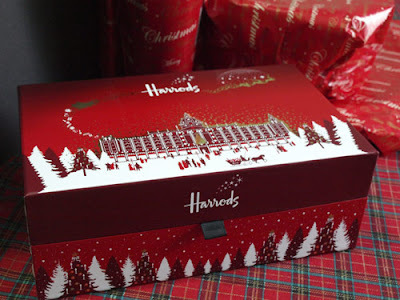 I received the Harrods Christmas Classic Hamper to review, I was not required to write a positive review and I was not paid to write this review. That box is so beautiful... but wait, there's a pudding inside too? Heaven! I was always more of a Fortnum's kind of gal myself (err, in my dreams) but this does look lovely. I've only ever made one Xmas pud and (she says modestly) it was fabulous. One day I'll make one again... but not this year! NO wonder you didn't stir up on Sunday Janice! LOVELY box and I was thrilled with my hamper that I got from Harrods recently!